Frage für das Forum: Should Residents in Germany automatically become Donors after Death? There is an old saying to start off the forum: If you are born to an American parent, you automtically become an American. How about when you pass on: Should you automatically become an organ donor? This is the question that is floating around aggressively in Berlin and is being talked about in hospitals and medical centers in Germany, thanks to German Health Minister Jens Spahn and his most recent proposal. The “dual opt-out” donation system would automatically make everyone in Germany a registered organ donor. The proposal comes in response to the sharp decrease in the number of organ donors between 2012 and 2017, combined with the increase in the number of patients who are on the waiting list for an organ donor. According to a recent study, the number of organ donations carried out in Germany decreased from 1097 in 2012 to only 797 in 2017. Last year alone, some 9,400 people were on the organ transplant waiting list. 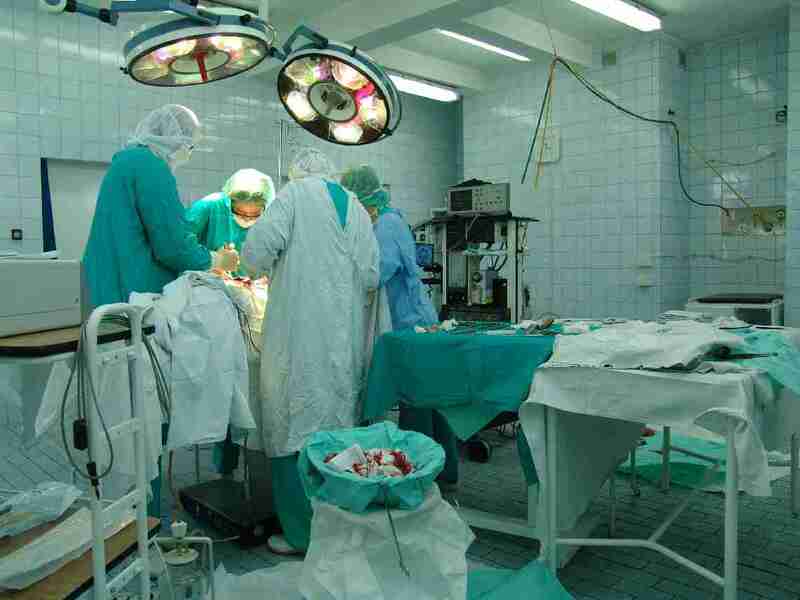 Less than 1,000 organ transplantations were carried out, while 2,000 on the waiting list died. The current system allows for opting in to donations, where people who volunteer receive a donor card and their names are in the data bank. Critics feel that the opt-out clause is the same as forcing people to donate their organs when they die, even though they don’t want to. Already an alternative proposal is in the works which would require repetitive questioning about donating organs when at the doctor or renewing their personal ID. The belief is that organ donations should be a conscious option that remains voluntary and not obligatory by the state. While the debate goes to the Bundestag, the German upper parliament, which will be debated and voted upon soon, the question is whether being an automatic donor after death with the clausal to opt-out would make the best sense in the interest of the German population. Or if it makes sense to leave it the option to donate to the person him/herself. Henceforth, a poll has been created for you to vote upon. Feel free to do so and if you want, comment on this issue. There are many people at the rock concert. The Wacken Rock Festival takes place every summer in July. Thousands of rock fans travel there every year to cheer their favorite band on. Werner the motorcyclist goes there with his friends. For past simple the purpose of that is describing the event that is finished. One however needs to pay attention to the fact that present perfect can be used as well. The difference between the two, as described in this post (here) is that past simple is used solely for confirmed and/or exact time; present perfect is only for an undescribed time. Past simple verbs can be divided up into regular and irregular verbs, which also applies for the present perfect verb tenses. A link to the list of irregular verb tenses can be found here. A guide on pronouncing regular verb tenses, known as Ted is Ded, can be found here. It is very important when learning the English language is to know the difference and to conjugate the irregular verb tenses for they have no clear rule in terms of endings in English. Sadly though, many students mix up the verb tenses for many reasons. One of the main reasons is the inability to make the distinction between regular and irregular verb tenses and as a result, the inability to conjugate the verbs in English. Another is not paying attention to the verb form, especially with regards to the third person singular, which requires the “S”, if and only if the verb is present. But there are other reasons as well and therefore, some exercises are here to help you. The following statements, dealing with the Wacken Open-Air Rock Festival, has a verb tense in brackets. Look at each one (and the time markers) and put in the correct verb tense (present or past). Determine whether these statements, all dealing with the Rock am Ring and Rock im Park Festivals are true or false, in terms of verb use. If false, please correct them. The Rock am Ring (“Rock at the Ring”) and Rock im Park (“Rock in the Park”) festivals were two simultaneous rock music festivals held annually. Rock am Ring started in 1985 and it later became an annual event. The festival go on hiatus for two years after fewer people show up in 1988. In 1993, Rock im Park take place for the first time in Vienna. Munich hosted the festival for three years until 1996. Between 145,000 and 155,000 fans attend the two festivals every year. Each year, the Nürburgring and the Zeppelinfeld in Nuremberg held the duo-concert. Over 200 bands stepped on stage for one of the two concerts between 1985 and 2018. Use the following time markers and construct a sentence, using the correct verb tense.